Acer on Monday introduced its new 2-in-1 hybrid notebook at the Consumer Electronics Show. The Aspire Switch 12 S is designed for those, who need a decent level of performance and features along with a high-resolution display in a sleek form-factor. The new 2-in-1 system features Intel Thunderbolt 3 technology and will be compatible with Acer’s upcoming Graphics Dock, an external graphics solution for mobile PCs. The new hybrid personal computers will hit the market already next month. 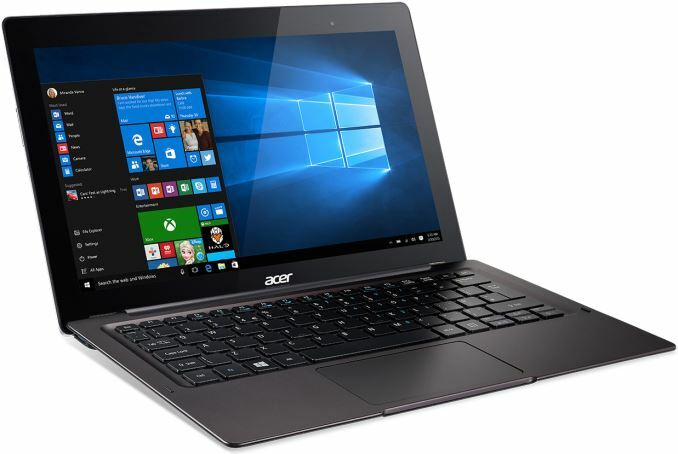 The Acer Aspire Switch 12 S hybrid PC is based on the Intel Core M central processing unit with 4.5W thermal design power and Skylake micro-architecture. 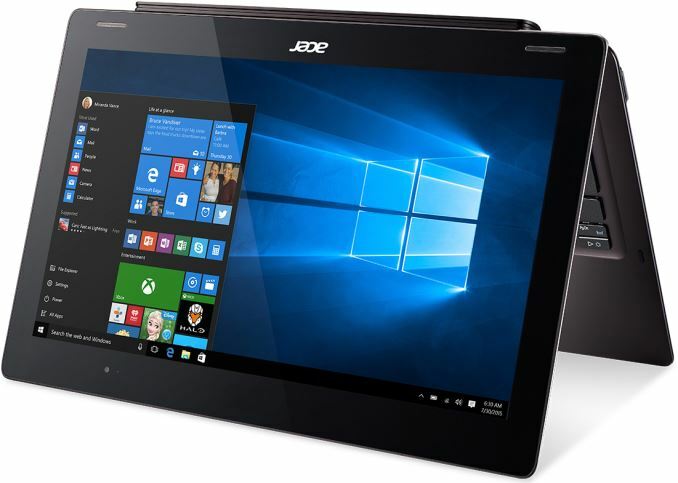 The 2-in-1 comes equipped with 4GB or 8GB of DRAM, a 128 GB or a 256 GB SSD, a 802.11 b/g/n/ac Wi-Fi controller with 2x2 MU-MIMO technology, a 720p front-facing webcam, Intel RealSense R200 camera for 3D scanning, two USB 3.0 ports, one Thunderbolt 3/USB 3.1 type-C port as well as a micro-SD card reader. The system is completely fanless thanks to very low TDP of its CPU. The 12.5-inch display panel of the Aspire Switch 12 S uses IPS technology along with Corning Gorilla 4 glass for protection, it can feature 1920 × 1080 or 3840 × 2160 resolution, depending on exact configuration. The multi-touch display supports the Acer Active Pen for note-taking and sketching, something, which may be useful for business users and creative professionals. Those, who would like to use the Aspire Switch 12 S for gaming will eventually be able to connect an optional Acer Graphics Dock to the Thunderbolt 3 port. At present Acer does not reveal anything about the upcoming Graphics Dock. Considering the fact that Intel’s Core M processors can hardly provide enough horsepower for demanding games, even a mainstream discrete GPU inside the dock will significantly improve gaming capabilities of the laptop. Nonetheless, it is hard to expect the Graphics Dock to transform any low-power 2-in-1 machine into a gaming powerhouse. 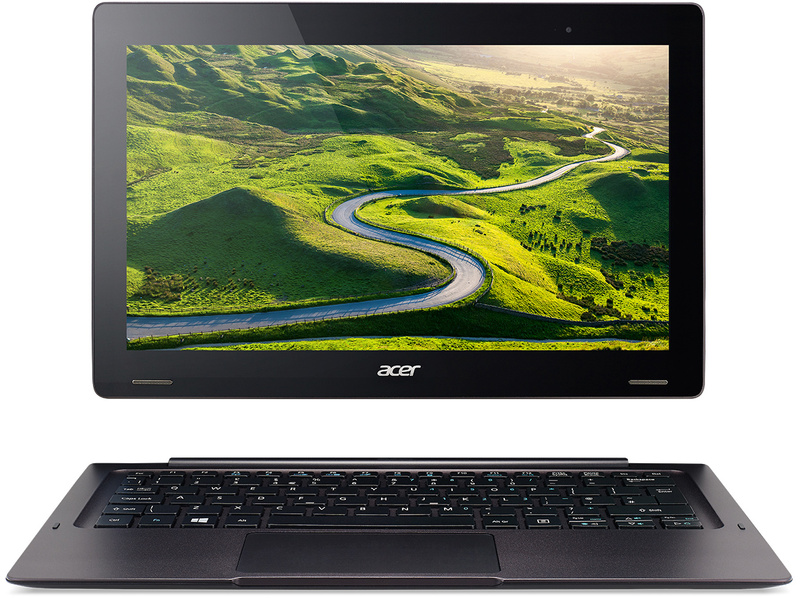 The Acer Aspire Switch 12 S is made of anodized aluminum. The tablet part of the device is about 7.85 mm (0.31 inches) thick and weighs around 800 grams (1.76 pounds). With keyboard dock connected, the 2-in-1 laptop is 17.3 mm thick (0.68 inches) and weighs around 1400 grams (3.09 pounds). 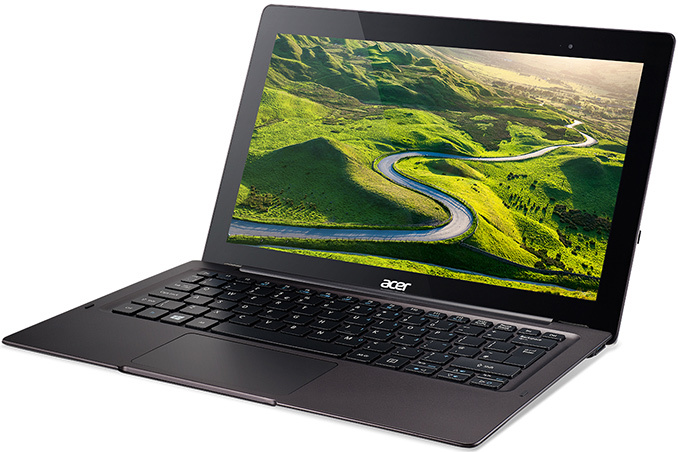 Acer officially positions its Aspire Switch 12 S for all types of users, including business road warriors, creative professionals as well as mainstream users. The 4K display, support for stylus, Intel Thunderbolt 3 technology, RealSense camera for 3D scanning make the new 2-in-1 PC from Acer considerably more advanced compared to previous-generation hybrids. In fact, 4K display and Thunderbolt 3 support make the Aspire 2-in-1 unique as such combination is rare in general. The Acer Graphics Dock will make the Aspire Switch 12 S somewhat more attractive for gamers. However, the lack of a 4G/LTE module, a fingerprint reader and high-capacity storage options will reduce popularity of the Aspire Switch 12 S among business and professional users. The Acer Aspire Switch 12 S will be available in North America in February starting at $999.99. The new 2-in-1 will also hit the markets of Europe, the Middle East and Africa in February with prices starting from €1,199. "Those, who would like to use the Aspire Switch 12 S for gaming will eventually be able to connect an optional Acer Graphics Dock to the Thunderbolt 3 port. At present Acer does not reveal anything about the upcoming Graphics Dock." Nice to see that a retail implementation of this is finally arriving. Anton, at first glance, how do you feel the 3840x2160 Acer Aspire Switch 12 S SW7-272 compares to the Dell XPS 12 9250 of the same resolution that has been available for the past month or so in Dell Shop US and Microsoft Signature Edition US (9250-4554WLAN) variants, but not in the announced WWAN / LTE variant? Core M does not support DDR4.